As you are leaving Hendersonville, heading toward Asheville, you pass where Bruce Drysdale Elementary School. It is the school on the right, across from the fire station, on the hill above Pop’s Diner. 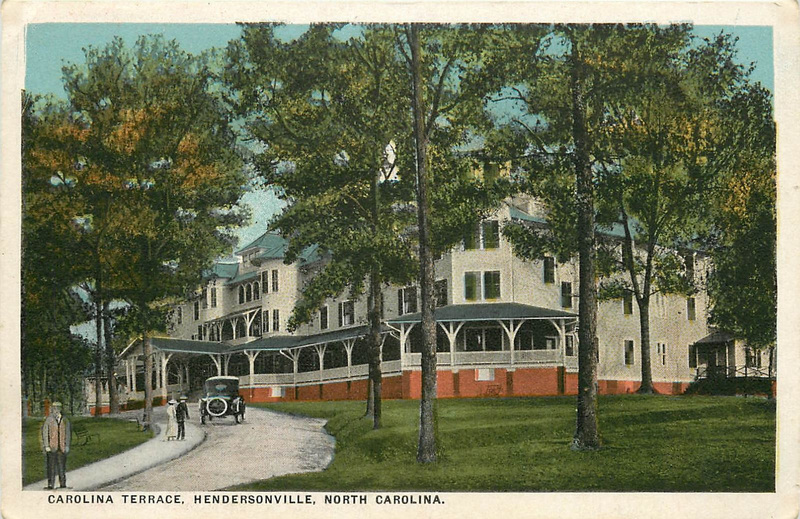 Hendersonville has always been a great place to spend the Summer, but in the late nineteenth century there was a huge boom in tourism. As soon at the train arrived to Hendersonville, middle class visitors joined the wealthy who arrived as soon as the weather got hotter in the South. Many fashionable hotels and boarding houses opened on Main Street and other areas. Hotel Wheeler opened in 1895 convenient to the train station. It was a massive hotel with 100 rooms and a porch filled with rocking chairs running the entire length of the building. 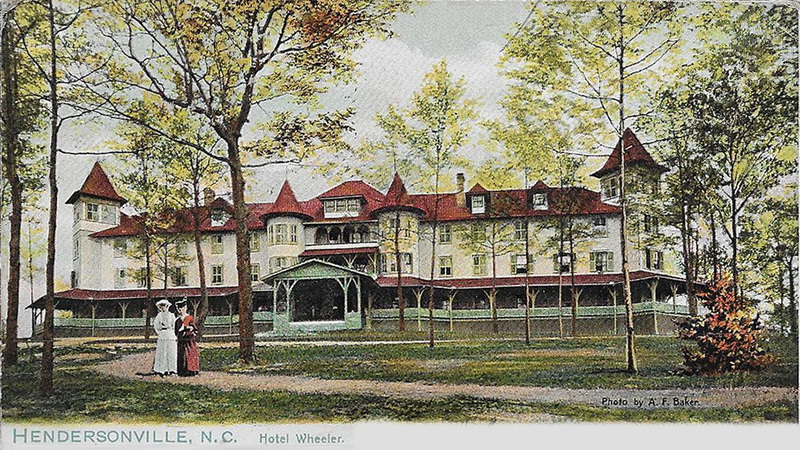 Hotel Wheeler had the first successful electric light plant in Hendersonville. It was installed by Sam Bryson on his return from the State Agricultural and Mechanical College at Raleigh. Sam Bryson was a local, the grandson of the sheriff. He was later the mayor of Hendersonville. Later the name was changed to the Carolina Terrace. They added a dance pavilion with nationally known dance bands. The name was changed again in the early ‘20s to The Terrace. The hotel and venue continued to be a luxurious, glamorous destination. The dance ended. 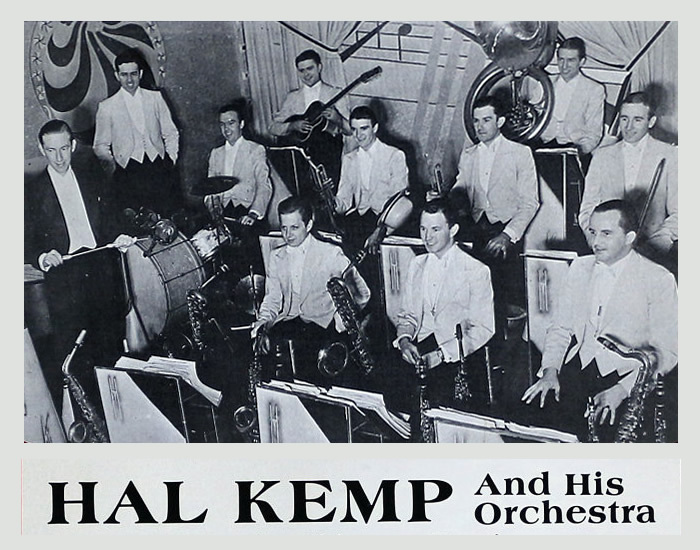 Hal Kemp and his orchestra finished playing after midnight. In the early morning of July 8, 1927 at 2:30, the shout went up. There was a fire. A spectacular fire. The fire department could save the hotel, but the dance pavilion burned to the ground. It was the late ‘20s. The economy was turning and the pavilion was never rebuilt. All three Hendersonville banks closed on the same day in November 1930. Then, on December 16, 1930 it started to snow. By morning there was over a foot. The next day, the wind picked up and the temperature continued to fall. That night, a policeman making his rounds near the train station saw someone coming down the hill from the hotel. The hotel was closed for the winter, so he investigated. The shape moved to a car on Locust Street, but the officer did not get there in time to really see the man or even identify the make and model of the car. He could see that the tracks led up to the hotel, so he investigated. When he got to the back of the hotel he found a door standing open and smelled fire. It was 2:30 AM, December 17 1930. The patrolman dashed to the apartment of Milas Hill, the caretaker and they rushed to alert the fire department. The snow had picked up again and continued to fall, deeper and deeper. There was little the firemen and volunteers could do as the temperature was 20 degrees, well below freezing. Gale force wind fanned the flames and flaming materials blew into the distance. Had it not been for the protective layer of snow on roofs, the calamity could have been far worse. He went to the city public school at Woodburn academy and then Judson college before he went to Raleigh to study at the State Agricultural and Mechanical College. He was a railroad ticket agent, then a mechanical engineer at the Boylston gold mines, on the mountain behind Forge Valley Event Center. He married Julia E. Bittner in 1906 and they had three children. Later, Sam Bryson owned the Star Dray. You can see the little red brick building by the train station at 421 7th Ave E. It is one of the contributing historic buildings in the Seventh Avenue Depot District. (The first owner was named Will Turner, in 1900, when the Star Dray Co. was located up near Main Street.) A Dray Company hauls things. Some moving companies are still called Drays. Sam Bryson was a contractor, postmaster, tax collector and, finally, mayor. He had to resign as mayor because of a scandalous love triangle. He was killed in a shootout with a jealous husband on 7th Avenue, near Hotel Wheeler and the Star Dray. He is buried in Oakdale Cemetery.